These Valentine’s Rice Krispie Treats with Conversation Hearts would be a great last minute Valentine’s Day idea. 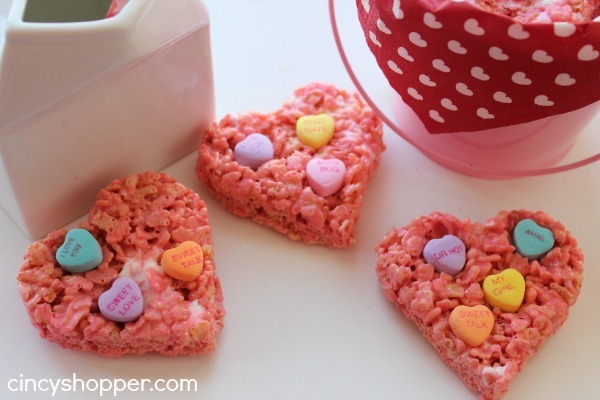 My kiddos have always liked Rice Krispie treats. To be honest mom and dad love them too! I have shared many different holiday Rice Krispie treats with you in the past like my Pumpkin Rice Krispie Treats and my Wreath Rice Krispie Treats. A holiday just couldn’t be a holiday around here without a Rice Krispie Treat, ha ha. 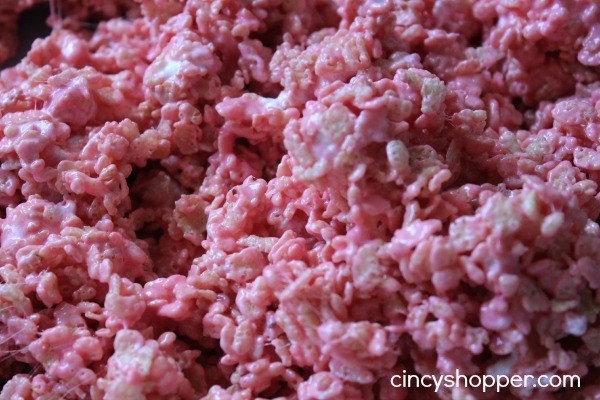 Rice Krispie Treats are so quick and easy. Everyone seems to like them. Making them cute is never a problem. 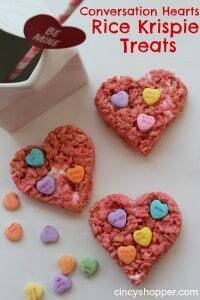 If you are needing to toss something together last minute for the kiddos or adults to enjoy for Valentine’s Day, this treat is it. 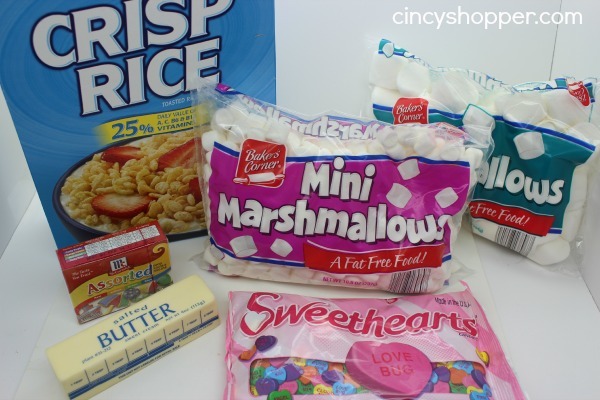 I snagged Conversation Hearts at the grocery, some marshmallows and of course Rice Krispies. If you are looking for other Valentine’s day Recipes be sure to check out my Strawberry Valentine Muddy Buddies, Red Hot Cinnamon Cupcakes, Valentine Oreo Truffles, Valentine Blondie Bars with M&M’s, Red Velvet Crinkle Cookies, Valentine Heart Brownies, Hidden Hearts Pound Cake, Cupid’s Float, 2 Ingredient Strawberry Valentine Fudge, Strawberry and White Chocolate Chip Cookies, Valentine Pretzel Treats and also the Strawberry and White Chocolate Cheesecake Bars and Homemade Valentine Lollipops that I have shared with all of you.